I sighed a breath of relief grateful for the additional time to figure out what we wanted. Having a large family, it was pretty customary to allow my kids to choose for themselves and just give them a dollar limit for their order. Some days it would be a 2 dollar day and on really good days a 5 dollar day. Going out to fast food was not something we did a lot of and there many reasons why. The biggest one was budget. It cost a lot to take a family out to eat. but also, I loved family time around the table at home. I knew I could prepare food at home that was healthier and more cost effective than fast food. I also loved the time I got to spend with my family preparing meals. It gave me not only the opportunity to teach them important skills but also to share conversation and spend time being with them. I declared to my kids that today was going to be a $2 day. The van erupted in excited pandemonium. Not exactly the response I was expecting but then I noticed the new menu to the side, the “value” menu. These items were reduced in price and most of the items listed were the ones my kids were most accustomed to ordering. Tacos, burritos and nachos were all 49 cents each. My children grew up knowing the value of a dollar and rarely spent it on sodas, so for their 2 dollars, they could each get 4 food items. Even the little cinnamon sugar crispy things were on there, so a few of them even chose to have dessert. The little speaker invited me to order, and so I did. By the time we left the Pick up window we had bags of food. after all there were 10 of us and for $20 we were able to get 10 cups of water and 10 tacos, 20 bean burritos, 5 cinnamon crisps and 5 nachos and a myriad of hot sauce packets to add to our enjoyment. We drove home and as we did I began to wonder if this should become part of our budgeting plan. If we replace one meal a week with a taco bell super value menu meal, I think we could save some money. As I parked the van in the driveway the sliding door flew open and everyone ran for the front door, then to the kitchen table. Once there, they distributed the food, unwrapped it, devoured what they could then promptly exited through the back door to play. It was like a whirlwind. I think the only conversation that took place was the discussion of who had what food. No one mentioned if they liked it, I don’t even know if they took the time to taste it. Perhaps this is why they call it fast food, because everyone eats it so fast. It was then that I began to consider what a 49 cent taco really cost me. It cost me time preparing the food with my kids. It cost me a house filled with the aroma of a home cooked meal simmering on the stove. It cost me the added nutrition that I could provide by selecting what went into the food I served and what didn’t. It cost me sitting down to a table that one of my children had carefully prepared on behalf of the family. That to me was like setting the stage for the most important scene of the day to play out; Family dinner hour. Here is where our connections were made. We learned about each others challenges, and victory’s. We would plan for family adventures and even dream of places we wanted to go one day, or camping trips we wanted to take. We would talk about anything and everything. In the spring, it was often around the dinner table that we would decide what we wanted to grow in our garden. And it was around that same table that we would all savor the bounty of our harvest. I decided then and there as I was gathering the pile of wrappers and half eaten 49 cent items. That I would never consider giving up a meal a week even if I had thought for a moment that it might save me something. The cost was simply too great. This is almost everyone in my family. Front and center is my mom and dad the ones who taught me the importance of time around the table. My family is in the upper left corner and the rest are my siblings and their families. Our tables have gotten bigger, but the time around we get to spend gathered around them is priceless. I told her that I knew her and that I knew how much she loved her father and that once she gets to be with him, she will find there isn’t anything she wouldn’t want to do to take care of him. She also needs to remember she is never alone in this process and that she is entitled to ask for help from family members, friends, fellow parishioners, or from medical professionals. She will find a way to provide for the needs of her father. She is stronger than she thinks she is and I know it, and I know that she knows it! She is an amazing scrap booker, and I can imagine that she will find a way to document her time with her father that will be a treasure and a legacy for all posterity as well. Ever since then I have found myself thinking about how much of my time and energy was wasted watching the “what if” scenarios of fear. I recognize now that fear was not my friend. A true friend doesn’t hold you back, but encourages you to grow and would show you the possibilities of what could be, of what you could offer, and what impact and difference you can make for the good in the world. Now I choose Joy instead of fear; Just Open Yourself to the possibilities. So anytime I start to feel fear, I now recognize that as static to my true self, and I try to dismiss it as quickly as possible. Fear literally strips me of my power to move forward and to have influence and to fulfill my purpose. I will dismiss fear; for it is not my friend, and instead live my life with JOY! 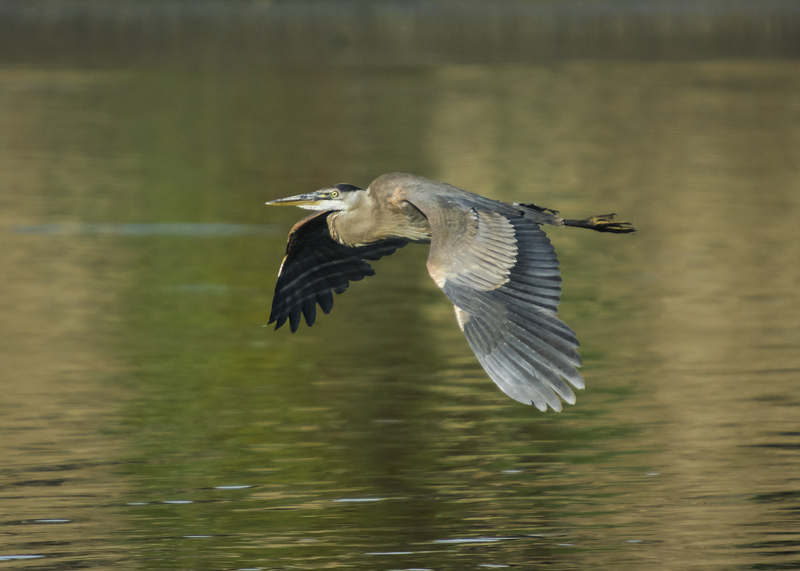 as it waltzed it's way to morning. with mist lifting from the blue abyss. gratitude washed it's salty spray over me. Loving the life I sea. Anticipation filled the air as the boys and girls climbed out of the bus. 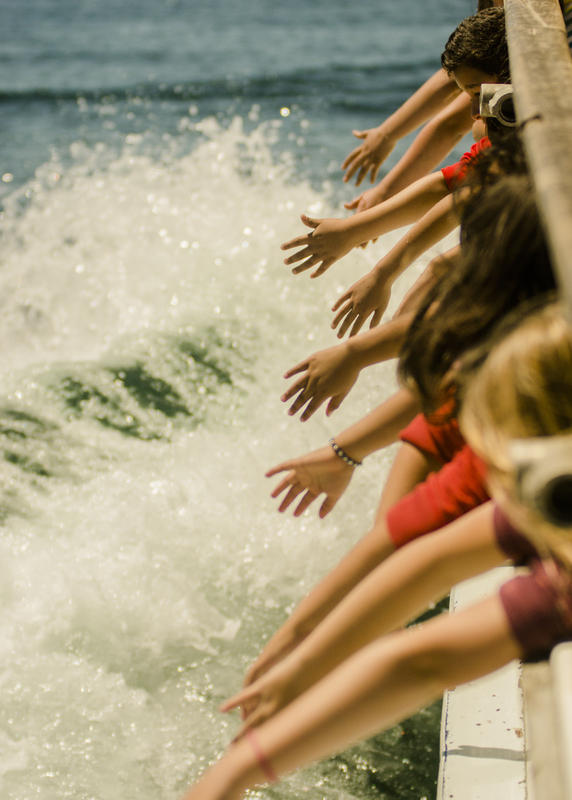 Excitement was the perfect mask for the trepidation that some felt as this was their first experience with the ocean. It was fun to once again see the faces that I had photographed weeks before in the classroom as they prepared for this day. 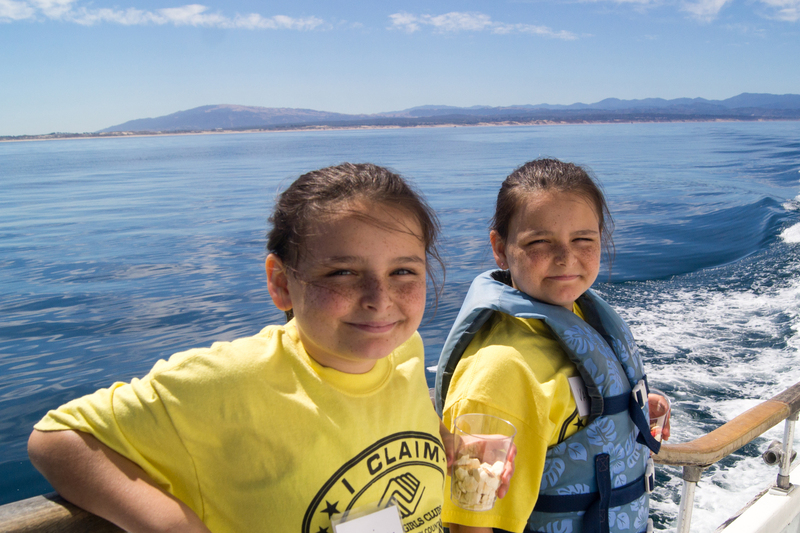 Each year Marine Life Studies, an all-volunteer nonprofit organization, takes kids from the Boys & Girls Clubs of Monterey County out whale watching on Monterey Bay. 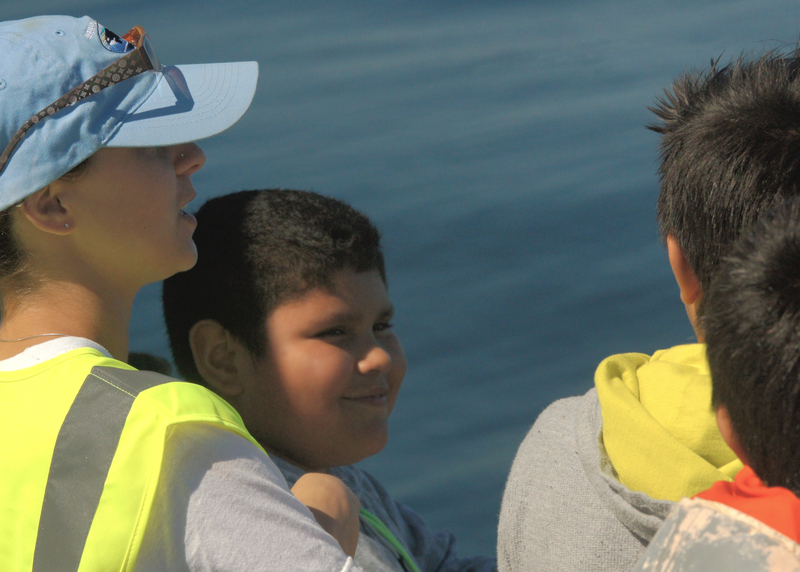 Prior to the trip the kids learn about the marine life they could possibly see on their outing and are taught about the importance of ocean health and the role each of them play contributing to it. 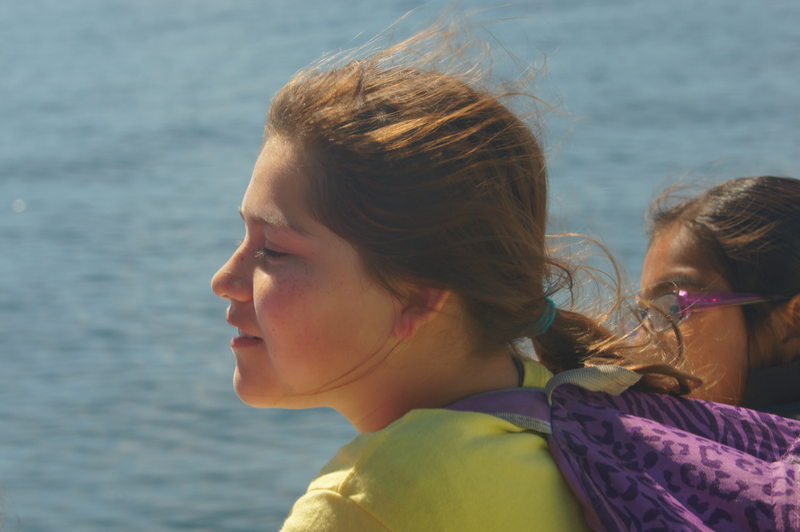 This program is one of many that Marine Life Studies offers. 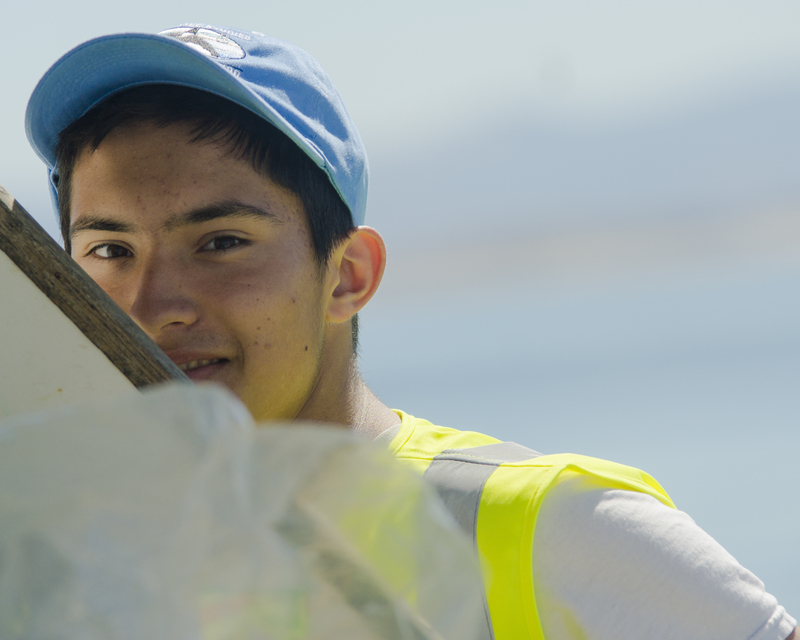 Earlier in the year they involved the kids in an environmental program called Take it to the Streets™, where they are taught about the problem of ocean trash and as a group help prevent it by cleaning up trash in their area that could easily end up in the ocean through waterways. 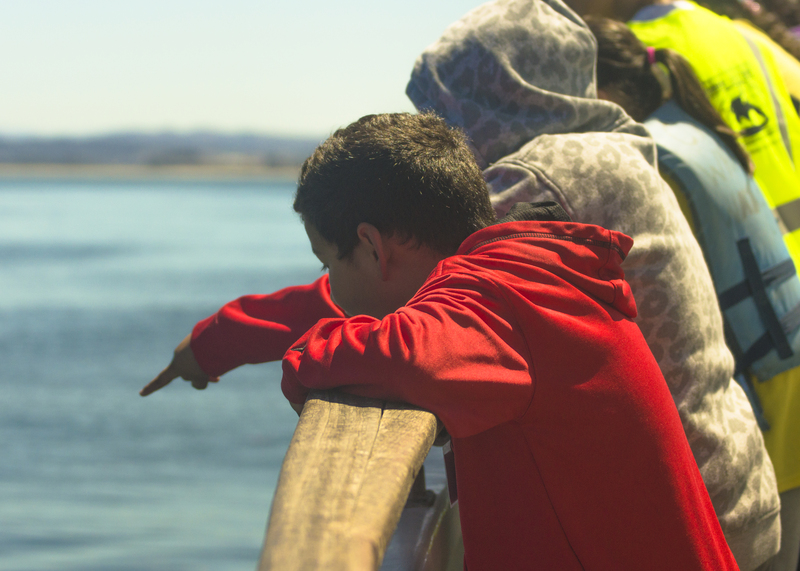 It was inspiring to watch as the kids began to comprehend the vast marine life of the bay, and imagine what they might see on their trip. The conditions couldn’t have been more ideal: the water calm with the brilliance of every shade of blue glistening on the horizon against a cyan sky. With final instructions given, we were on our way toward the dock. My husband and I were both part of the volunteer team. Our role for the day was to photo document the kids experience. 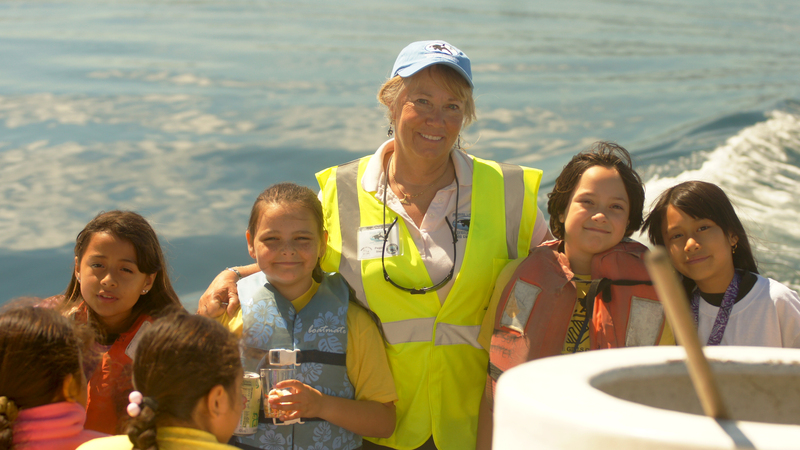 Peggy Stap, founder of Marine Life Studies, began to pass out crackers and talked with each of the kids. I loved seeing the joy reflected in her eyes as she personally interacted with them. 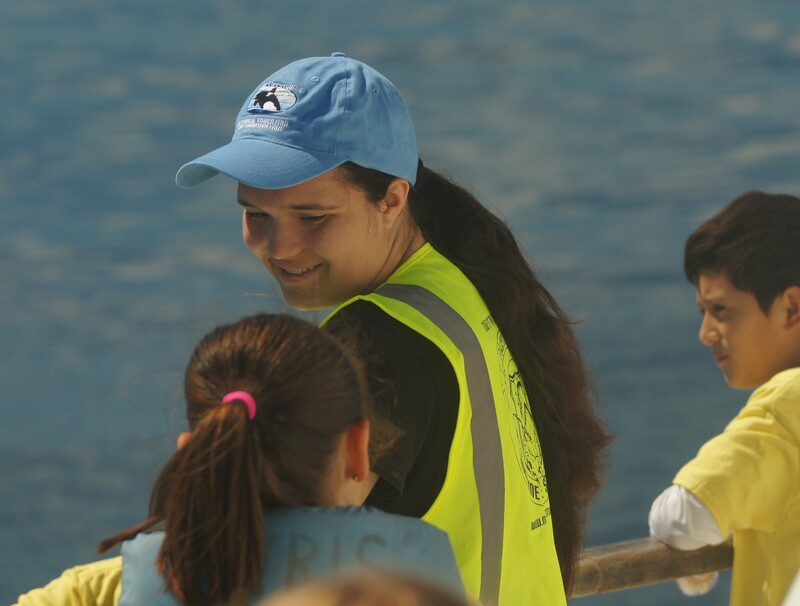 It was evident that her passion goes far beyond her time intensive research, as she empowers others by sharing her knowledge and love of marine life and igniting passion for it. It was inspiring to see her share it so personally with the next generation. 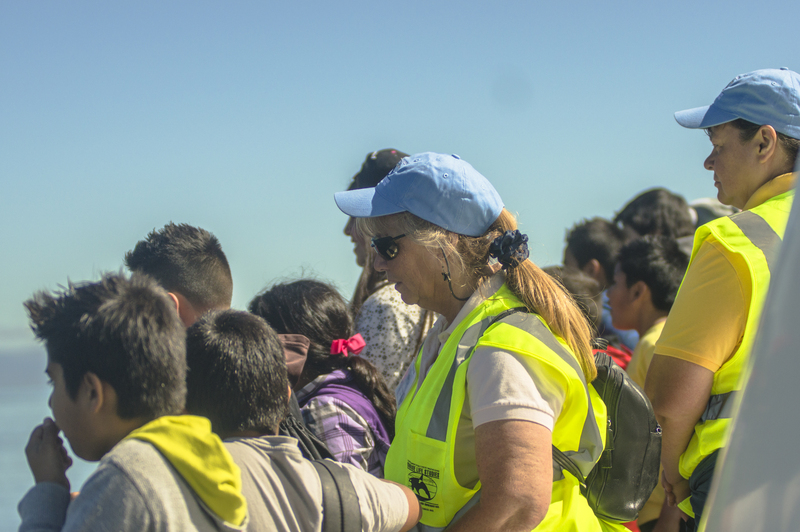 She had a team of volunteers strategically stationed around the boat to provide constant support for the kids insuring their safety. Each of them impressed me as they interacted with the kids. They, just like their mentor, loved what they were doing. Two of the volunteers, Georgia and Ben, are twins. They started off with the program as students and are now in high school and have returned as leaders. Perhaps this is just a tiny sampling of just what kind of a difference a program like this can make. I checked in on the nervous young boy often. His nerves continued to challenge him, but he was strong. There were a few kids that had come on the trip in prior years. 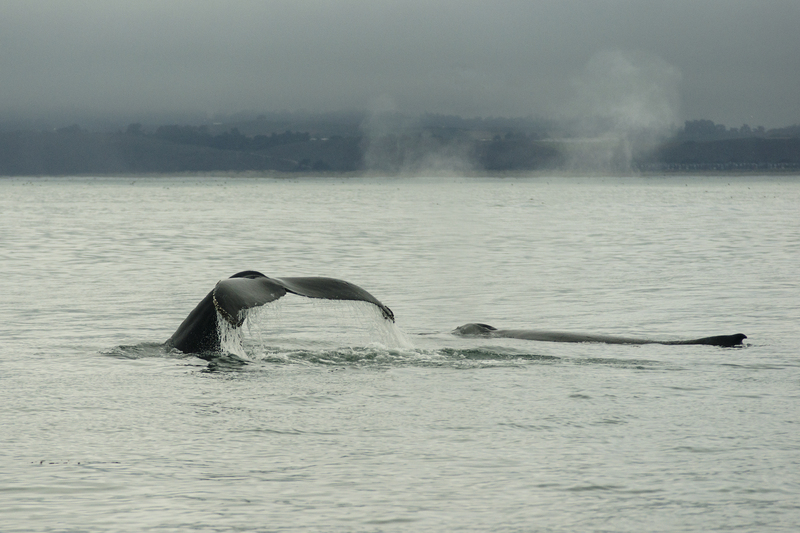 I was impressed at how keen their eyes were at spotting a variety of jellies as we made our way across the bay. They began to tell me about the things they’d seen on past trips. It was clear that this event had left a deep impression on them. 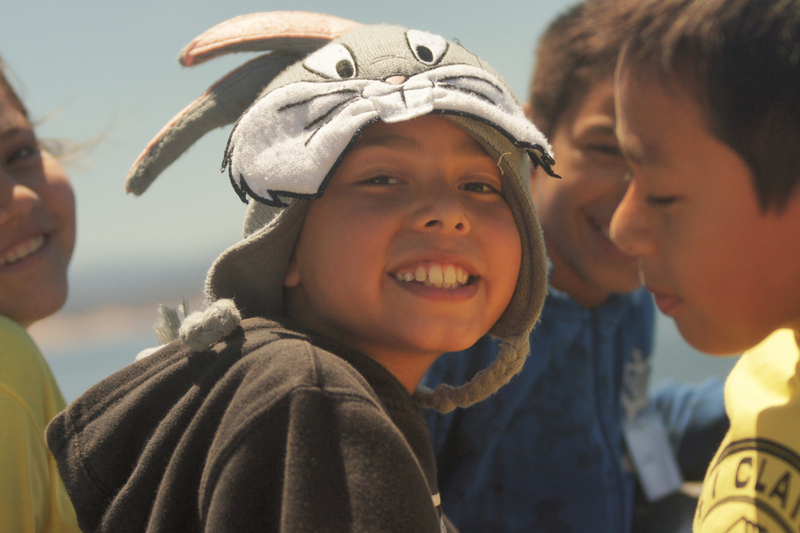 The excitement of seeing their first whale was still evident as they retold their experience to me. We began to see a multitude of spouts off in the distance. 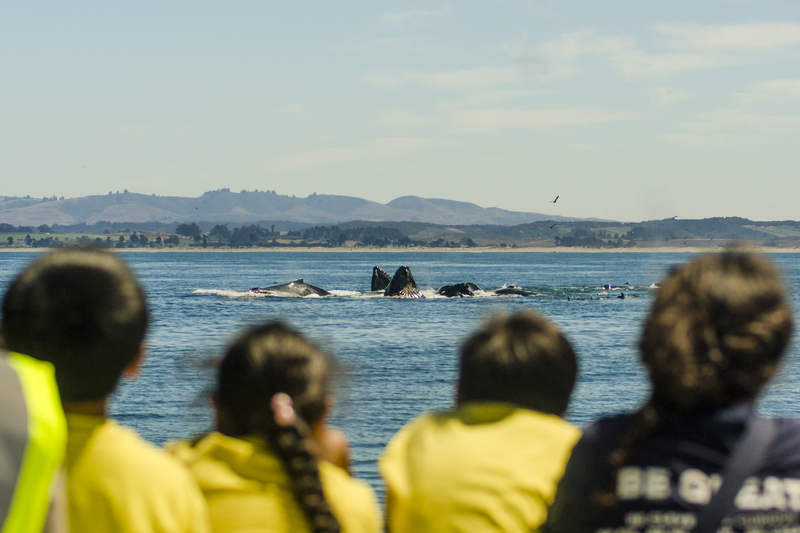 The kids began to shrill with excitement as they watched for the humpback whales to surface that were feeding just ahead. There were so many whales; it was difficult to know where to turn to look. They would blow and then dive. We watched for a while then much to our delight they began to lunge feed. This is where multiple whales work together to round-up the bait then ascend on it at the same time. 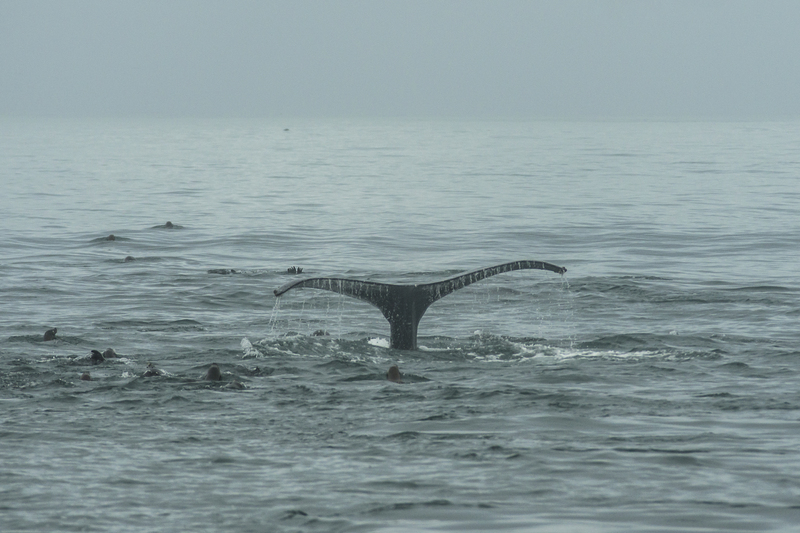 Several whales broke the surface together as they shot straight up with their mouths wide open. I was able to snap a shot with a couple of them still upright. It was a beautiful sight. What was even more beautiful was the expression on the kids’ faces. Their eyes were filled with amazement. I loved listening to the laughter, and the squeals of delight. Pure Joy is the only way to describe what was felt. As I was scanning the horizon to watch the whales I was surprised to see a large pod of common dolphins literally ascending on the boat. It was surreal. They were spread out over a large area, but all coming directly towards us. It was as if they had come to play with the kids. 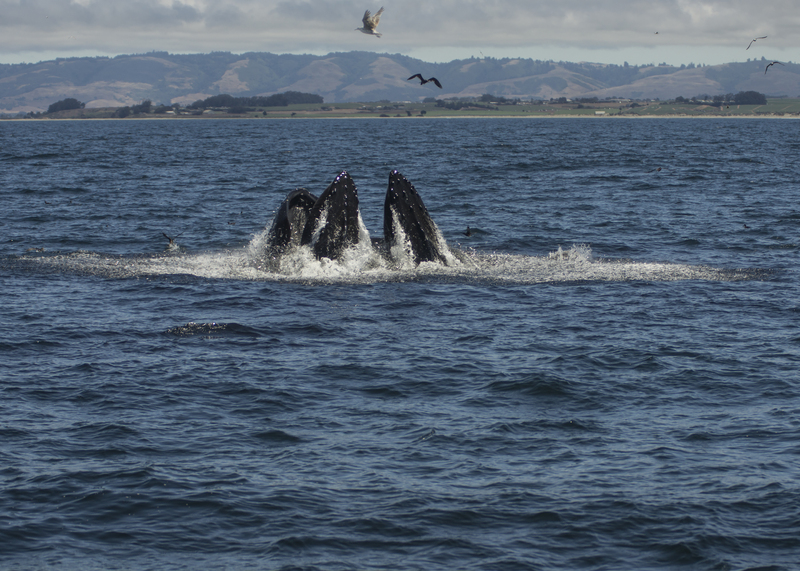 Our attention quickly turned from lunge feeding humpbacks to these playful creatures. The captain of the boat started to move the boat forward hoping they would ride the bow.They did just as he anticipated and more; playing in our wake, and swimming along side the boat leaping clear out of the water delighting us all as the captain made a few loops around. 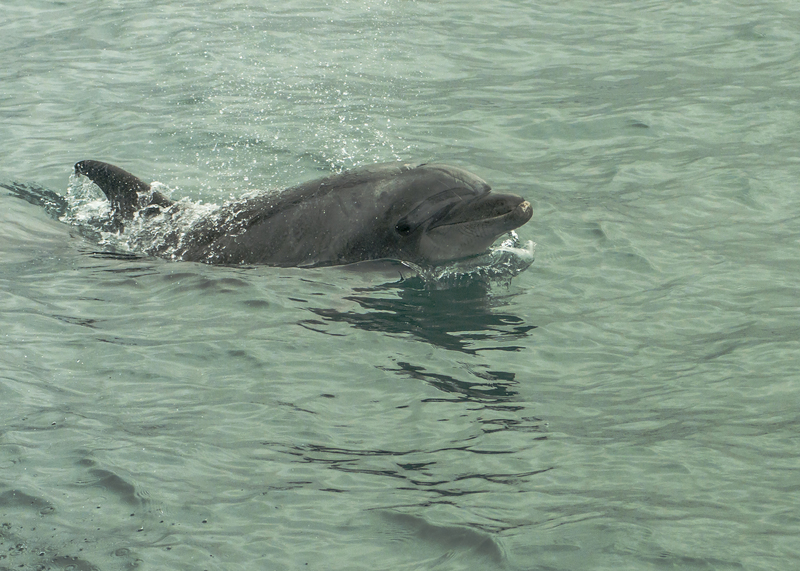 This was an incredible opportunity to see the dolphins engaging fully as he paced them perfectly. What a thrill it was to experience this, but even more to see the kids experience have this experience themselves, “Could this day get any better?” I asked myself. 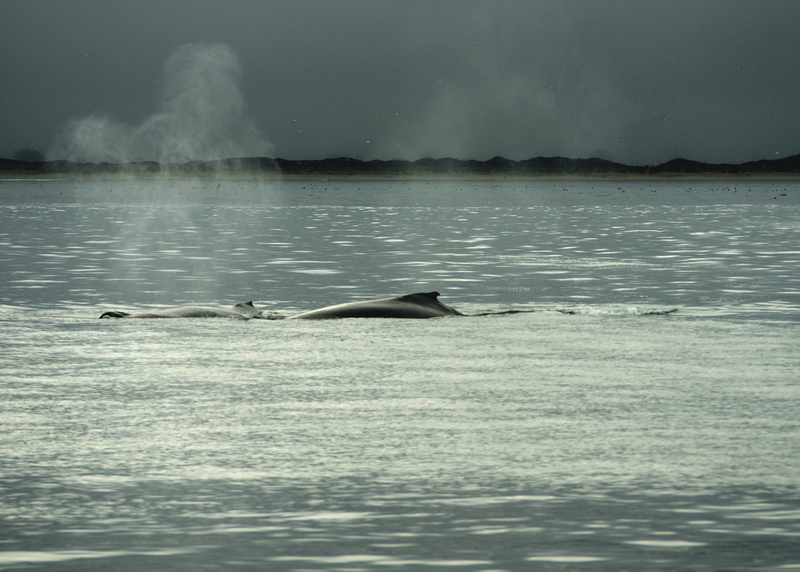 Just then a mother and calf began to breach not far from where we were. The kids literally gasped when they saw the baby whale come out of the water, then was in pure amazement to see the contrasting vast size of it’s mother when she breached next. 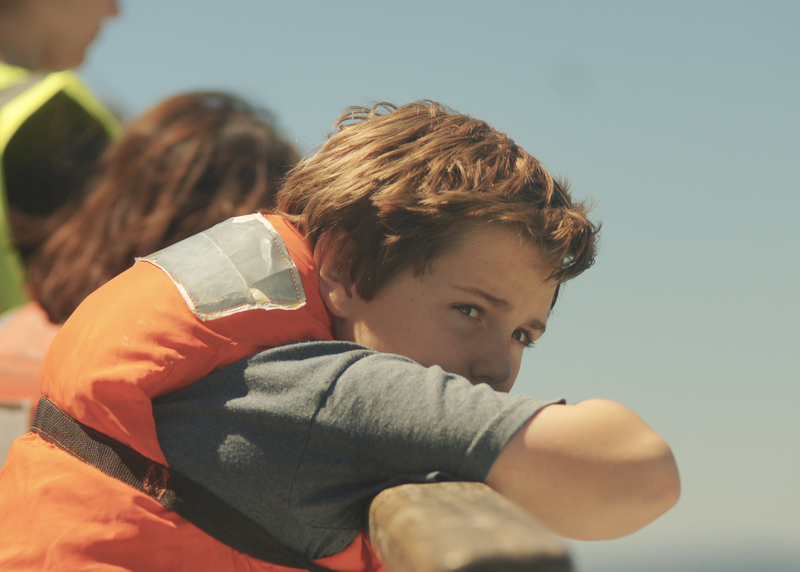 They continued to breach repeatedly and the boat became almost silent for a brief moment as the kids watched, then spontaneous applause erupted. I think they had said everything they could to describe how they felt, and found themselves speechless, but simultaneously felt a wave of gratitude for this incredible experience. We watched as long as we could but time had come for us to return. 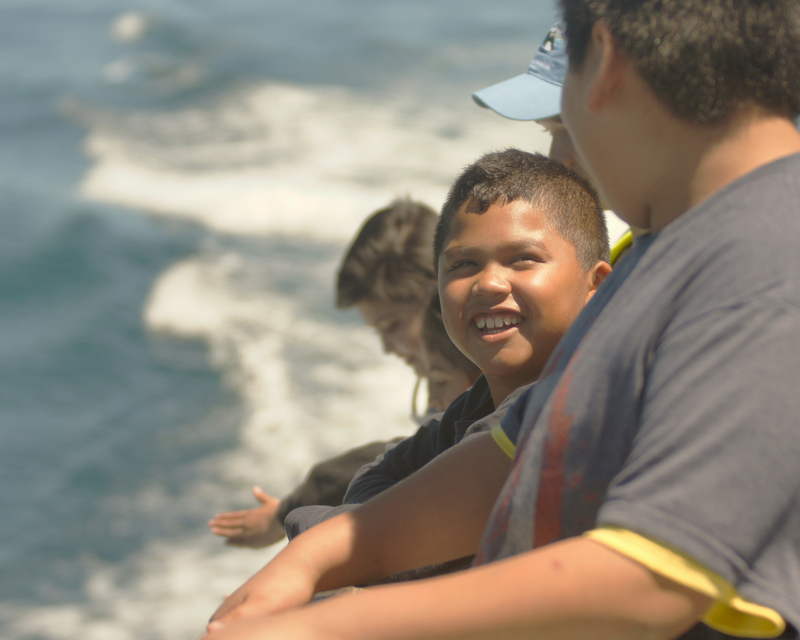 As we turned the boat around, most of their eyes stayed focused on the direction of the whales until they were too far in the distance to see. Then a gentle calm rested upon the kids. A small group of them sat on the side deck, reaching down to feel the spray as the boat moved quickly back across the bay. They now felt connected to this water that first felt so foreign to them. I listened as the kids discussed what they had just experienced. One of the older students has come on the trip for several years. He is a tall boy whose stature reminds me of my own boys. Easily mistaken for being much older than he is. As we were heading back he began to express a great concern he had. “You mean I might be able to volunteer for Marine Life Studies and help with the program? He quickly responded. “I’m so glad you were courageous and you didn’t let your fear keep you from being here today!” I said quietly just to him. “High five! Way to go!” I marveled. 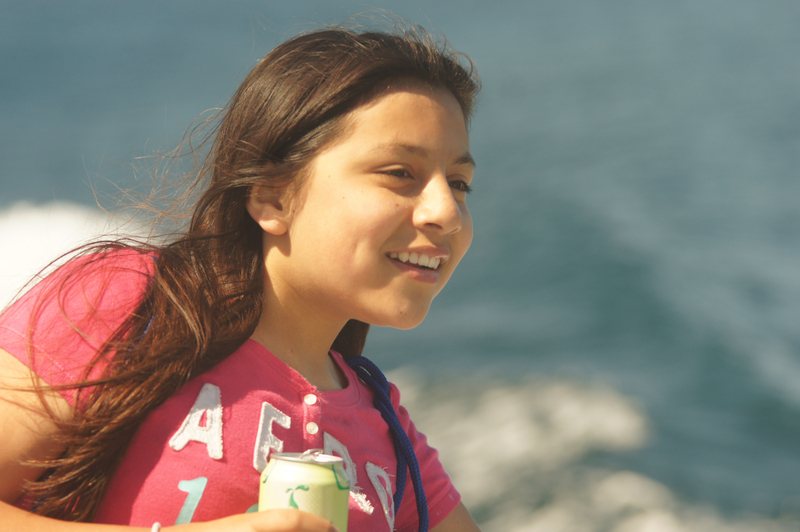 I recognized the depth of this program is much like the canyon in Monterey Bay. It runs deeper than anyone can comprehend from the surface. Courage, service, gratitude, confidence, cooperation, ambition, and hope were just a few of the byproducts I saw result from participating in this program. I am so grateful to be a part of it. I commute a few days a month from Utah to California to volunteer for Marine Life Studies. 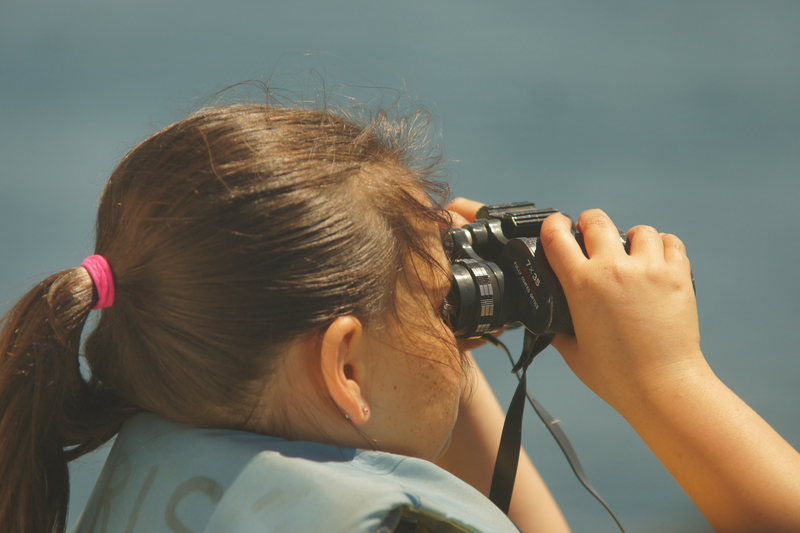 It’s a nonprofit organization committed to protecting our ocean by acquiring knowledge through on-going research. 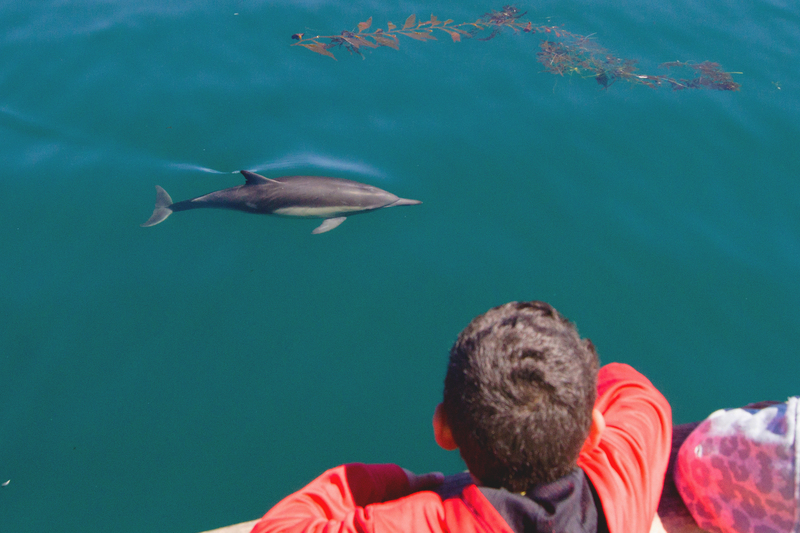 Effectively share and utilize that knowledge to encourage conservation, and inspire the public, especially children, with educational programs, to prepare the next generation of marine mammal and ocean conversationalists. There are no paid staff positions but a dedicated team of volunteers that truly believe in their purpose and in those they serve enough to give of their time and resources. I’m glad I get to do my part, and know it truly has an impact on those we serve. Recently I celebrated my 50th birthday. 4:45 was an early start but I was heading from Vacaville to Monterey for a whale watch trip and wanted to get there early to capture some shots in the harbor at first light. I was pleasantly surprised to find a gift left by my sister-in-law; two CDs of inspirational music. They provided the perfect background for my drive. Perhaps it was the music that lead me to thinking deeper than usual about my life in particular. As I was approaching my first interchange, I passed the miniature golf center where I worked during high school. It seems to never change, but it was clearly apparent as I caught a glimpse of myself in the rearview mirror that I had. As the road turned to lead me south, I found my thoughts also shifted. It was natural for a smile to reach my face as I approached one of my many “home” towns; Benicia. I’ve said many times that I still feel the same as I did when I turned 18. This is where I lived at that time. I marveled at how even then, I felt there was still a part of me living there. There were so many profound experiences that truly shaped my life. The hardest was loosing my brother Mike in a hunting accident. Before that day, I never the knew the hurt of losing someone. The assignment was for us to cut out an article about a car accident every day for one week. He knew this would be tough to make up, so he did it for me. I have often reflected on this selfless act and have shared this story when teaching the youth at church about how he didn’t ask me the trite question:” What can I do? ” He just did what he knew he could. His kindness has echoed in my memories a thousand times over the years. It was here that I also started my first business. I designed a line of t-shirts, my friends helped me make a press. One of them had brothers who were welders. Funny how it wasn’t until this day that I realized just how remarkable that was. My Dad also first taught me here about market research. Standing in front of Safeway asking the customers as they came out a few quick questions regarding my designs gave me just the information I needed to choose the top 4 designs to take to print. This little enterprise was the foundation of my job as a screen printer at Brigham Young University and the seedling to a company I later started with my husband first as a hobby, but then turned it into a booming business when my husband was burned in an industrial accident and couldn’t work. We had just bought a new house and car, and gratefully I was able to find a way to not only provide, but also stay home with my young children and husband as he healed. I began to consider how much of who I am today was because of what I experienced while living there. I found myself reflecting on the great friends I had, wondering about many of them that I haven’t stayed in contact with, at the same time experiencing a wave of gratitude wash over me for the ones I have. It was then that my first set of birthday tears began to fall. These were not tears of regret, or even sadness, but of true gratitude. Another wave of gratitude, sheer appreciation washed over me as I began to consider how blessed I was to now be living the life I am. 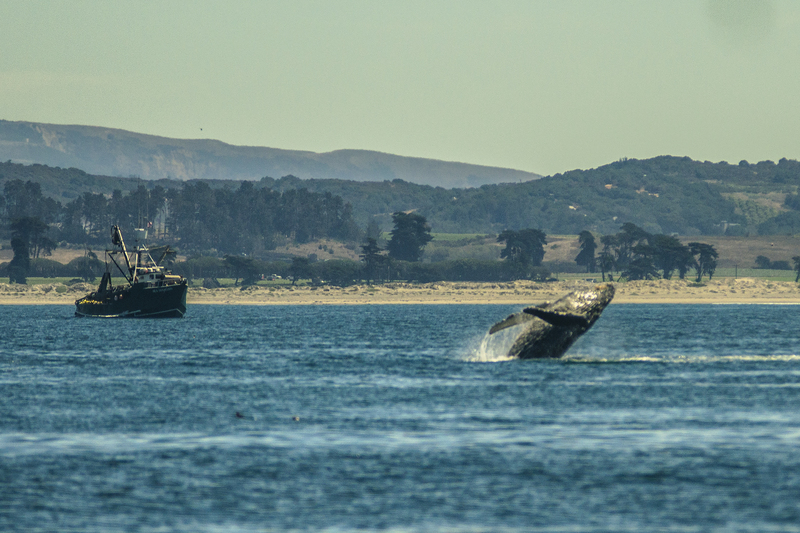 I had just spent two days working at the Marine Mammal Center at the Marine Headlands, and was now on my way to Monterey to go whale watching and assist Marine Life Studies with their work. A year ago I was legally blind, and now here I am driving myself to one of my favorite places on earth to photograph and observe nature in all its splendid glory. 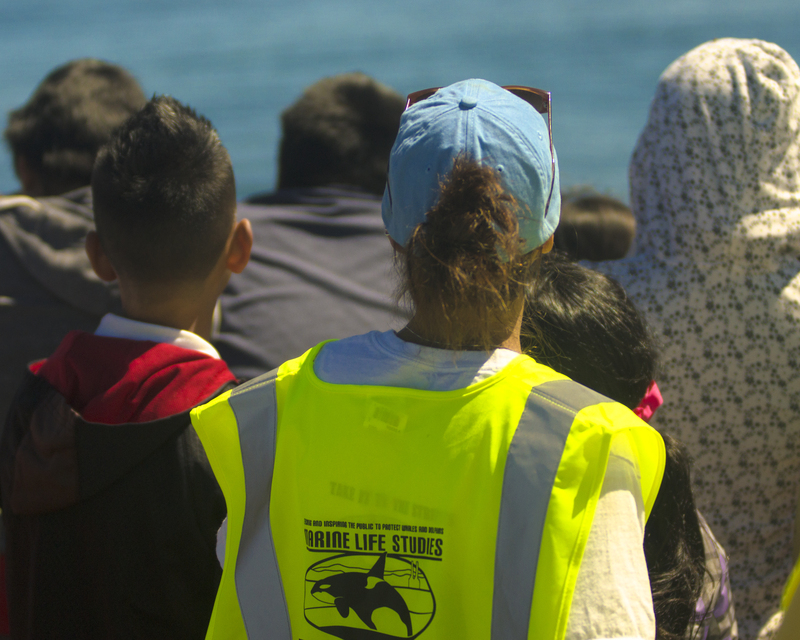 I am part of whale watch research team, and work at on the largest marine mammal hospitals as a volunteer. I LOVE MY LIFE! To think this isn’t even the best part of it! I am the mother of 7 of the most amazing people in the universe! My oldest daughter Stephanie is a singer songwriter musical genius extraordinaire! Her music is being featured on MTV, and other film projects. ( She is google-able: Stephanie Mabey) in addition she is the mother of a brilliant 6-year-old little girl who is the love of my life. I am excited to see what her creative energy creates! My second oldest daughter is on the road to becoming a doctor. She works at an ER full-time while finishing up pre-med. She is a remarkable singer song writer as well, but her passion is a healing art. There is no doubt in my mind that she will become a highly respected and sought after specialist in whatever field she chooses. My oldest son Austin is a computer software designer and is making his way at present designing game mods for minecraft. He is very successful, but what impresses me even more is his fun-loving and kind nature. You can’t help but have a good time when you are in his presence! ( He too is google-able; Lazertester shot bow network.) My son Taylor is a creative and mechanical genius. His passion is firearms. He is not a hunter, but a true appreciator of the art and craftsmanship of guns. He customizes grips, triggers and even assists with graphic enhancements. In addition he is an amazing poet. He currently works as an assistant manager at a local pizza restaurant. With his brilliance there is no limit to what he can do and be, and he is really funny. Lacey is my youngest daughter. She graduated with her bachelors degree in Psychology at 20, She plays about 9 instruments and she also sings. 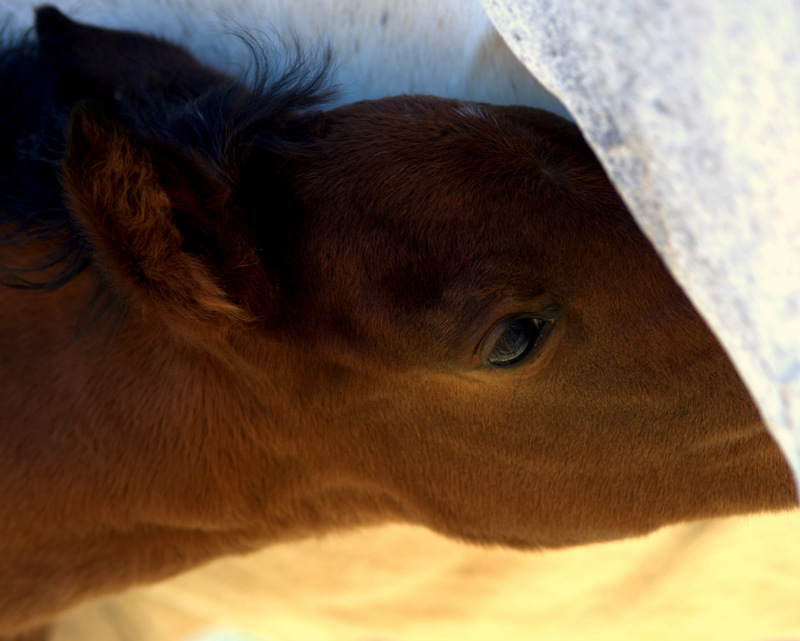 She works at an at risk center for girls in Southern Utah as an assistant to a therapist specializing in Equine assisted therapy. She not only works hard, but plays hard as well! I’ll never forget the year she decided in college that she wanted to go out for competitive softball. At tryouts they each got to introduce themselves and share their experience and desired positions. She had never played before, so she got up and asked everyone if they remembered the character on “Remember the Titan” Who in his introduction explained he wasn’t the most experienced player, but he loved the game and he will give all of his effort to learning and playing his best. That year she won the spirit award for the whole university for her sportsmanship and efforts on the team. She lifts everyone around her without even trying. 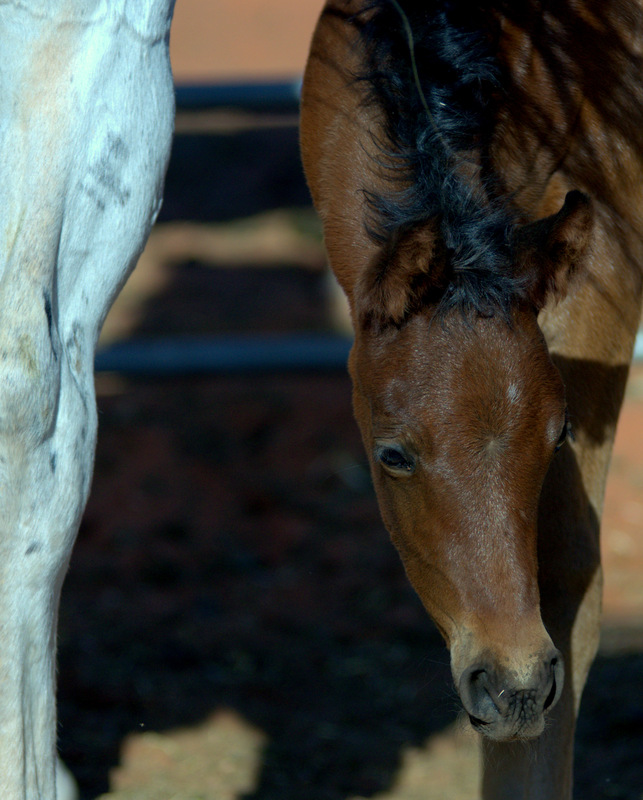 She is born leader with a genuine heart, and to top it off, she is a remarkable horse trainer. Joshua is a chemistry major at Brigham Young University Idaho. He, like his brother Taylor is hilarious. His humor is much more understated but equally as effective. He is a poet, and quiet observer of life. He has known since early in high school that he wants to become a pharmacist. His logic was brilliant. It’s an occupation always needed, It’s a job that provides well for a family, but also affords the family time together. When a pharmacist goes home for the day, his work is done. He like all of my children have watched their father sacrifice that time in order to provide for our large family. I was amazed at how quickly he realized his dream job and how quickly he began to work towards it. He was voted “Future Leader of America” at his high school. My youngest son, Scott, is graduated high school this year at 17. He skipped a grade early on, he is young, but ready. He plays clarinet. He was awarded the John Phillips Souza award for his High School. The night before he received that award, my husband and I sat in Abravenal Hall in Salt Lake City and watched him perform with the Utah symphony. His passion for music, hard work and God given talent has landed him a full scholarship to UVU this fall. Not only is he a remarkable musician, he is simply a remarkable person! Kind to all, and a natural leader. My husband and I married young. I was just 18 ( soon to be 19 though) He was 22 I always knew I wanted a big family and married a wonderful man who has provided well for us. We have always strived to provide our children with the resources they needed to excel in their purpose. Once while dropping my oldest daughter off to a California Teens conference in San Jose, he snuck away while I was getting her settled in and bought a grand piano. Mind you we didn’t even have, what most people would consider to be, basic furniture in our house, but he knew with Stephanie’s talents that she needed all of the right tools to “do her work”. Just this morning I got to hear her play another song in the making on those ivory keys. My husband has always worked hard to provide for us and at times even sold his most prized possessions to make sure each family member had what was needed. He is their strongest advocate and loudest cheerleader. I don’t think there is anything he wouldn’t do on their behalf so long as it was for their true benefit. He purposed to me in Benicia, and we lived there briefly after we got married. It may be a little town, but living there has had a huge impact on my life. The song “You Lift Me Up” Was the background music as I took this personal mental inventory of the people who bless my life. The list goes on adding my remarkable parents, talented daughter in law, amazing siblings, nieces, nephews, brother and sister in-laws. I truly love my family and recognize they are what I am truly most grateful for. My tears flowed as freely as my thoughts. It was at about this when the brilliance of the sun was making its way over the horizon and much to my surprise as the road turned I noticed I was facing a bright giant moon that had yet to set. As though on cue for the moment the Nicole C. Mullens song “Redeemer” began to play. I’m sure there’s an app for that! ” which only added to my laughter. 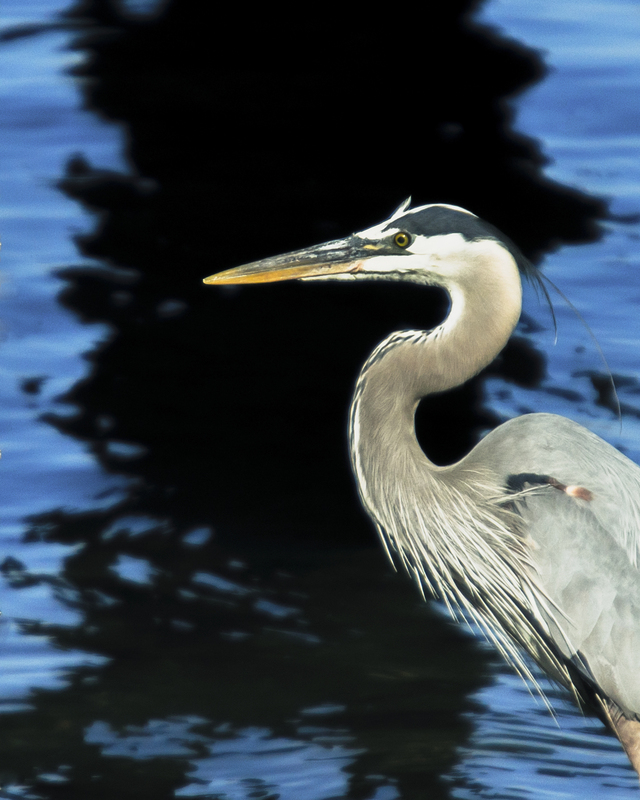 I began to consider all of the additional things I was grateful for, including my amazing camera equipment; adding to it my new lens; a Sigma 50-500mm that my family gave me for my birthday. The freedom we enjoy in this country and the men and women who have fought to defend it. Also the access we have to digital and technology advancements. My cell phone, laptop, the software I use to edit my photo’s and social media that allows me to communicate freely with others. I was filled to the tip of my existence with pure gratitude. As I pulled into the harbor, the light was perfect. 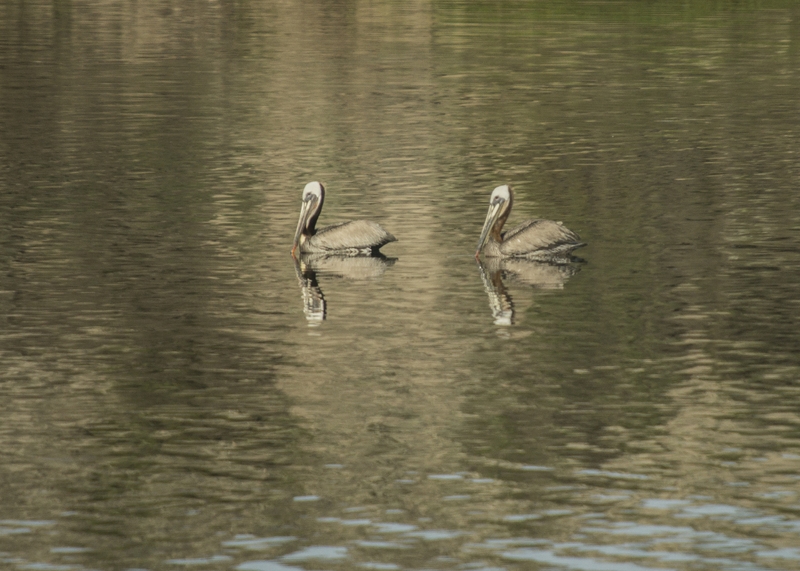 Two brown pelicans were posed perfectly in sync as I pulled my camera out to take the first shot of the day. But I paused for a moment and offered another silent prayer expressing once again my gratitude to the medical technology and skilled doctors that restored and stabilized my vision. I took a deep breath wiped the last tear from my eye for the day and began to shoot. What a beautiful way to start my 50th birthday; on a journey down memory lane on beautiful road of gratitude. I recently started teaching photography to the daughter of a good friend. 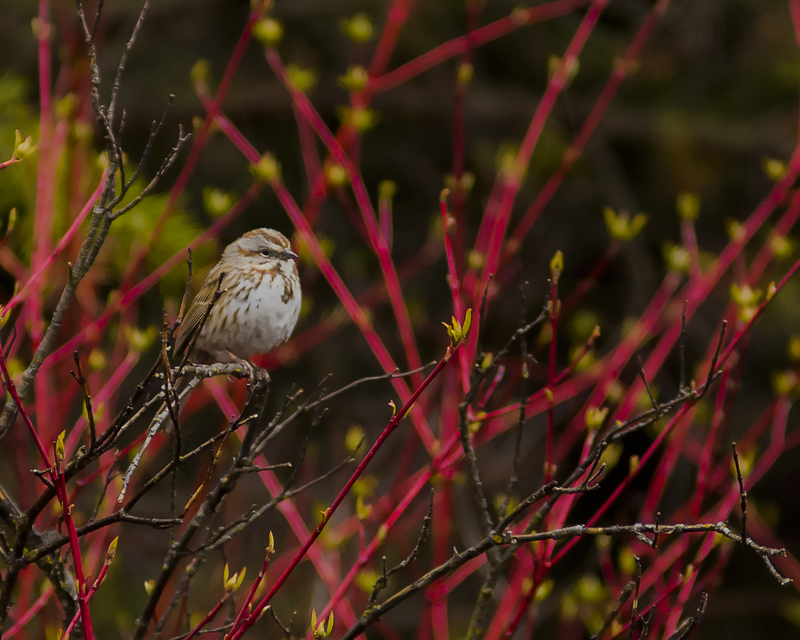 On our first venture out for practical application experience, she noticed this tiny bird perched on these beautiful red branches. As I returned home and began to review my photos I was reminded what a blessing it is to not only be able to share what we have learned but also allow our own perspective and understanding be broadened by those we teach. In the end we all teach each other. I could have easily missed seeing this little beauty had it not been for her keen eye. I look forward to our next outing and am already wondering; what will she show me next? I giggled and said “Yep”. knowing she had no idea just how cool that was. In High school I played fast pitch and was lucky enough to date one of the best baseball players in our town of Benicia. It was a good thing he loved the game, since I caught a ball in the eye a day before prom, and knew that he wouldn’t be bothered by the ball stitch marks and black eye I adorned along with my formal dress. It’s been a while since I’ve been able to watch a game. I found myself sitting on the sidelines with my camera, aching to capture the essence of what makes this game so wonderful to me. It wasn’t until I got home and started editing my photo’s that I realized I’d forgotten an important part of my story. It was when I saw this picture, I realized that too often in life, even in my attempt at photography, I take my eye off the ball. I failed to capture an image of the very person who by sharing her passion, made it one of mine; my mother. 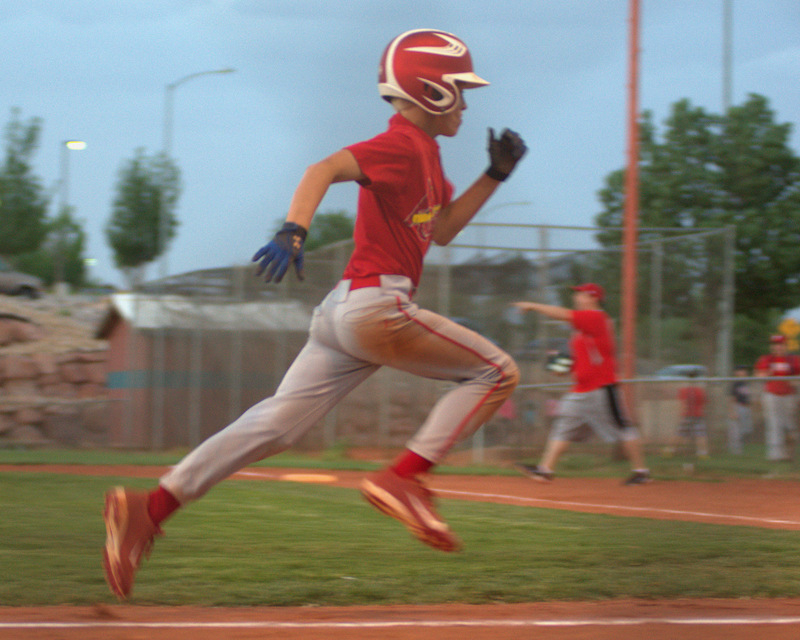 As I looked at this picture, I realized there were 4 generations of baseball fans at this game. 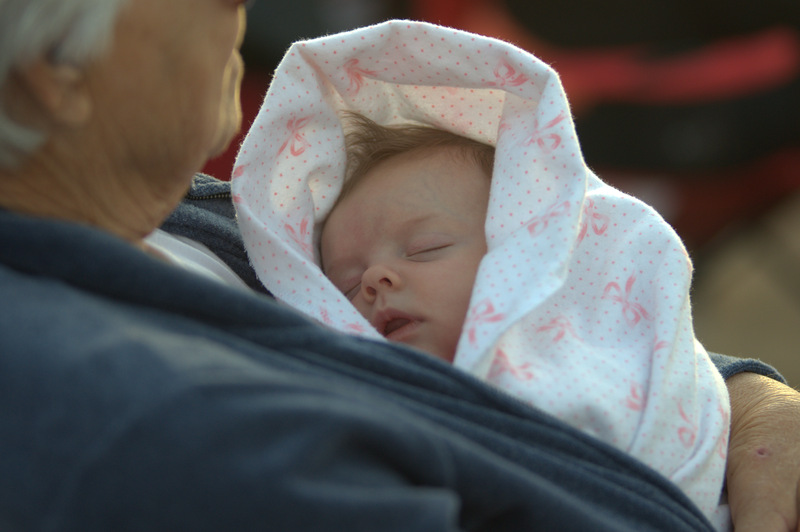 My mom was seated behind home plate holding her newest ( at the time) great-grandchild; my dad by her side. Her son-in-law was coaching the team with his oldest son as assistant coach and youngest son playing. 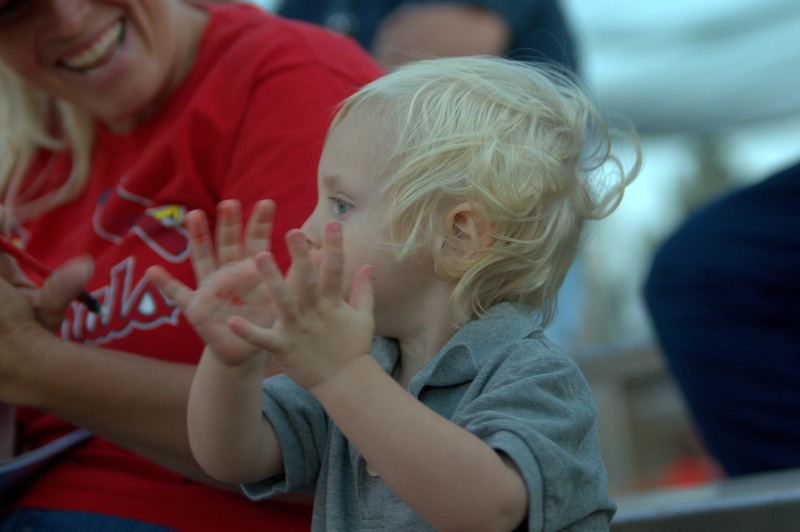 My sister was keeping score and seated next to her was my youngest daughter and my sisters first grandson who at the age of two, was already joining in when the crowd applauded a good play. I couldn’t help but think back to those summer years of my childhood and began to wonder how many banana cream pies my mom made; since that was the reward for any home run hit by my brothers, or any member of their team. She was the ultimate team mom, dedicated fan, cheerleader and motivational baker! That tradition continued as she has watched her grandsons play. Now they are bringing their kids to the game. I wished I would have realized then that the picture of the evening, was the one I never took. She was the reason I loved this game, and the next time I get to watch a game with her, it will be her image and the essence of her love of the game that I hope to capture. Her cheers still echo in my mind just as they did down the hallway when I was a little girl as she would watch the world series. Her words of encouragement and advice she’d yell to us from the stands are one’s we can still apply as we play this game of life. A gentle reminder for me to focus on what really matters. 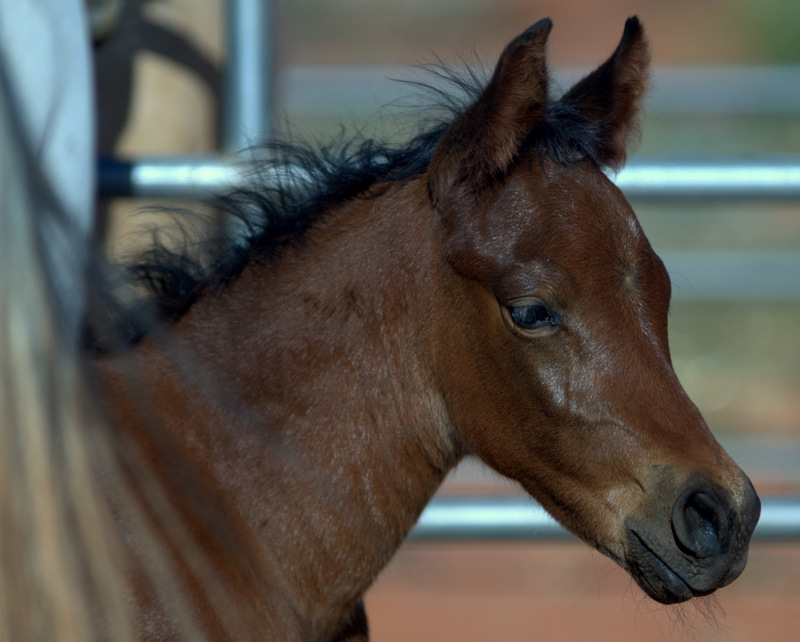 Recently I had the honor of photographing my sisters colt “Starsilks Legacy”. As I watched the pictures take shape it was humbling to see how strong his resemblance was to his sire. Starsilk was the most remarkable stallion. It wasn’t just his incredible beauty, or disposition that impressed me, but the incomparable bond I witnessed between him and his owner; my sister Lindy. 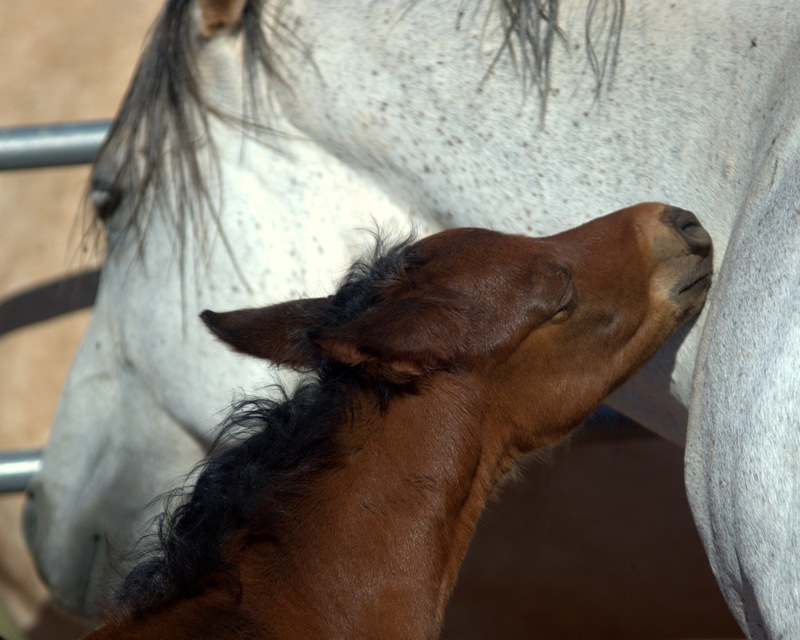 In spite of his champion Russian Arabian bloodline, he was given to her as a gift. He wasn’t her first horse, but it’s fair to say he was her favorite. I watched from the sidelines as she carefully tried to find a place for the two of them in the show ring. Ultimately her love for him what to great to risk what she might lose by making it the priority. Perhaps her selfless kindness was her greatest gift to him. He was a big part of her heaven on earth and she his. I can still picture him in the back pasture and the way he’d come running when he would see her approach the fence. No one else would warrant such attention. (except her boys on occasion. I surmised they inherited her connection by birthright.) It was always impressive to watch his big eyes follow her as she lunged him. As the pace began to quicken, you could see the fire awaken in his spirit. His posture took a commanding demeanor, his distinguished conformation and strength became clear as he was worked, but his eyes remained gentle as they rested on my sister, his trainer. He was eager to please as he’d watch for her next subtle cue. When she indicated the session was over, his shoulders would soften as he’d calmly turn and walk to meet her in the center of the ring. 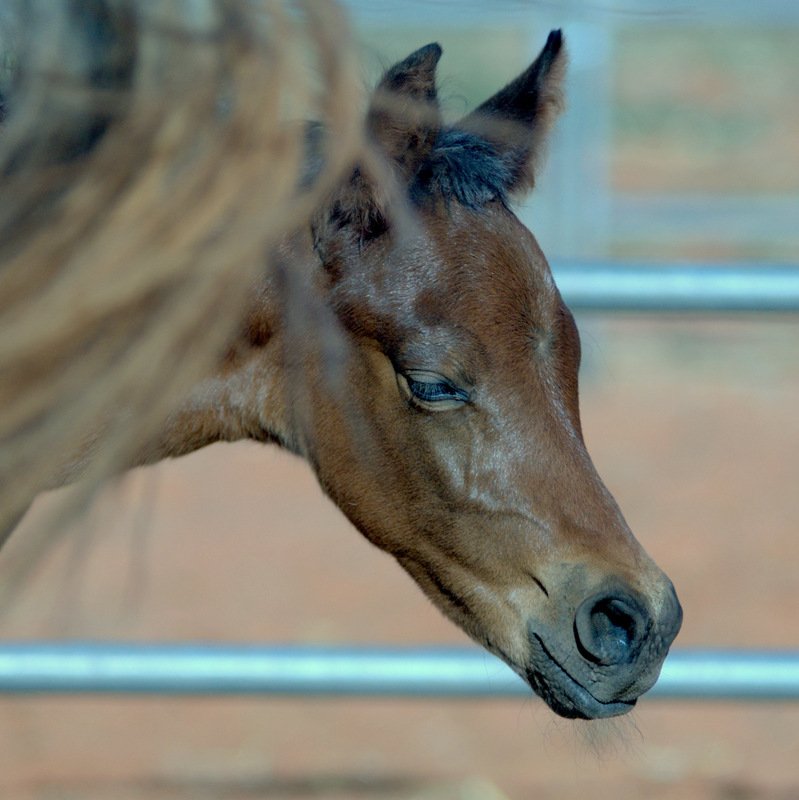 Who knows what compelled my sister to breed Starsilk last summer to her wonderful mare Belle. Perhaps she could see in his eyes that he was growing tired. After all they had spent more years together than a part. She was wondering if he would be too old, but when the time came he quickly put that concern to rest and was a perfect gentleman as he wooed his mare. It was just weeks later that his health began to turn. When I heard that Starsilk was gone, the ache I felt for my sister was as deep as any I had experienced for anyone losing a family member. Even now tears fall easily from my stubborn eyes as I remember trying to figure out how to help relieve her suffering. I knew that only time could heal this wound. Time and a precious gift that would arrive in spring; “Starsilks Legacy”. “He is just like his daddy”. His behavior reminded me how much Starsilk loved to lean into Lindy’s shoulder to scratch his forelock.